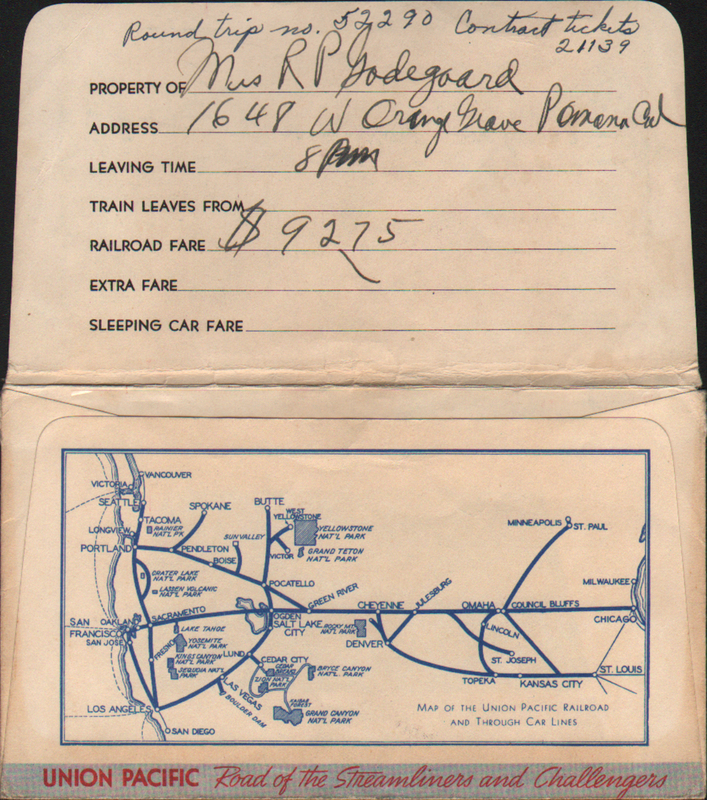 Description Union Pacific (UP) Railroad train ticket envelope - Grand Canyon, Zion-Bryce Canyon National Parks. 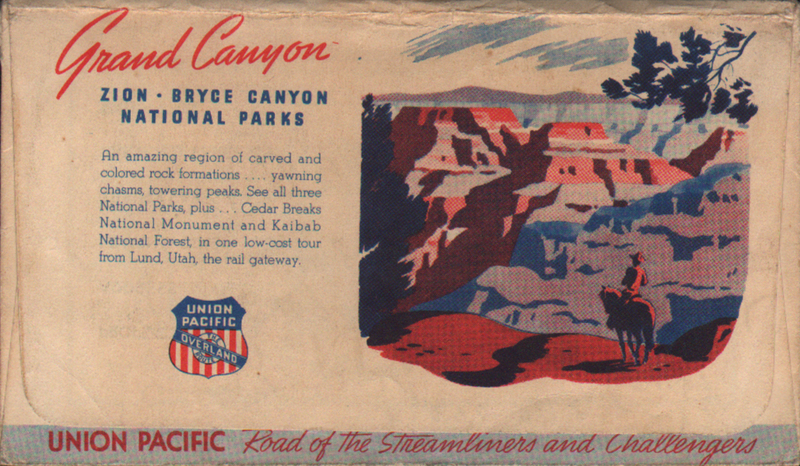 An amazing region of carved and colored rock formations... Road of the Streamliners and Challengers. 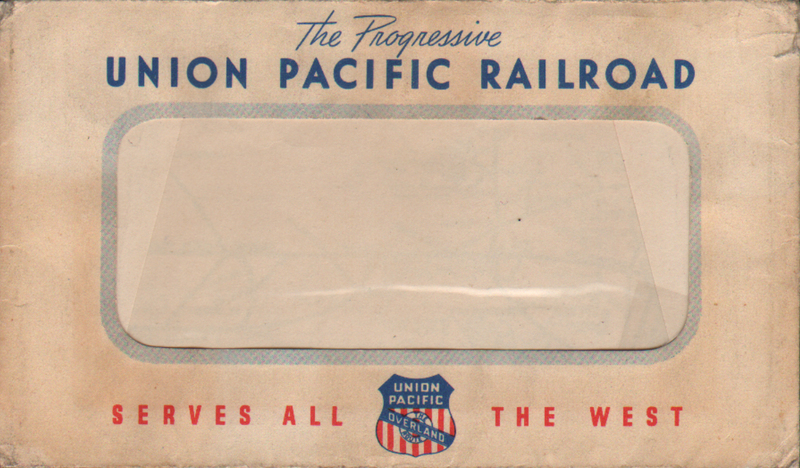 The Progressive Union Pacific Railroad. Serves all the West. with older Overland Route UP Shield Logo.